New LfE start up guide available on their website here. The BBC, Guardian, Independent, Mail, Mirror & Telegraph have all published articles today highlighting the need for raised vigilance regarding insipient sepsis in response to NICE guidelines. The articles urge the public to make sure their concerns are heard when speaking to medical services, especially where children are involved. All the relevant web pages can be found by clicking on the links above. 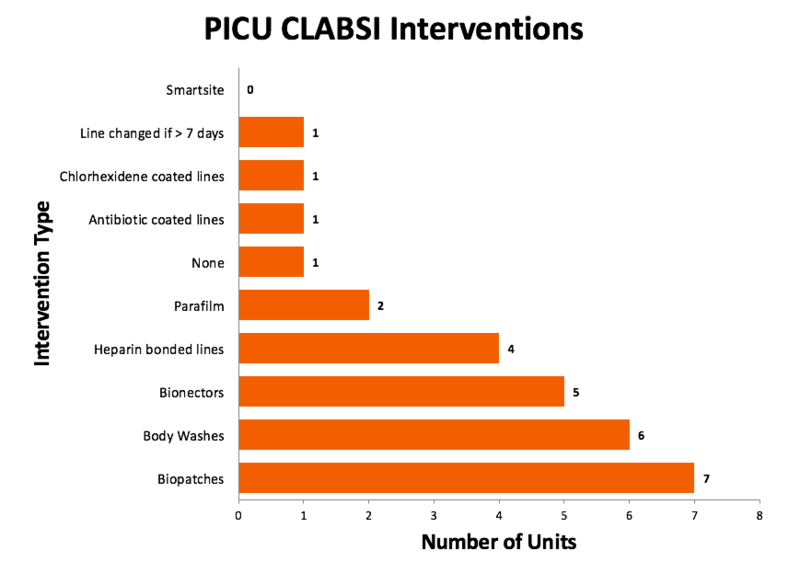 The collaborative membership was surveyed regarding the deployment of interventions to prevent CLABSIs. The results of this survey may be found here. 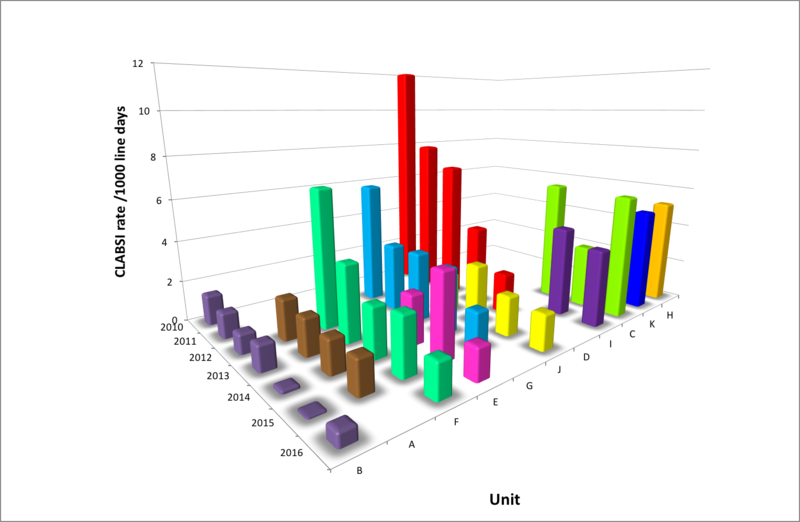 It is hoped that in the future it will be possible to combine the data from contributing units in order to generate run charts demonstrating the cumulative effects of the various interventions. Please complete the survey as soon as possible. The questionnaire should not take more than 15-30 minutes to complete and all answers will be treated with confidentiality. The questionnaire is open until the 3rd of July. The aim of this survey is to assess the extent and practice of standardised concentration usage for IV infusions in paediatric and neonatal units in the UK. The results of this study will allow analysis of current practice in the UK and allow further development of a consensus range of concentrations to facilitate the adoption of national standards in paediatric and neonatal units. This survey is a MSc research project run through the UCL School of Pharmacy and part of a standardisation project from the Making it Safer Together (MiST) collaborative. The researcher (the MSc student) is Thorunn Oskarsdottir, the academic supervisor is Professor Ian Wong and the project supervisor is Nanna Christiansen, Lead Clinical Pharmacist for Paediatrics at Bart’s Health and one of the project team members for the MiST standardisation project. We value your honest and detailed responses and are grateful if you could please answer all the questions. Please follow this link to the survey. Please contact the researchers, Thorunn Oskarsdottir or Nanna Christiansen, if you need any further information. Standardize4Safety has been launched by the American Society of Hospital Pharmacists (ASHP). We have sent them a link to our infusion standardisation project and hope to establish some collaboration. A few free places are available at this event introducing the basics of LfE. Lead by Adrian Plunkett & the Birmingham Children’s Hospital Team. Please find this resource here. Latest data now including 11 units. Leicester Children’s Hospital demonstrates their Safety Huddle here. What are you doing in your centre?